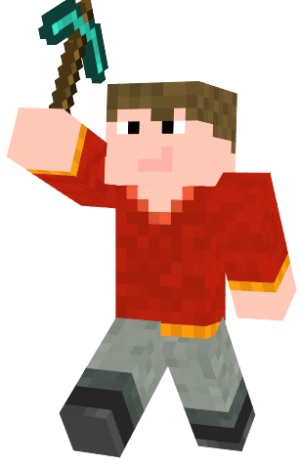 Palmerageddon is a well known player in the PirateCraft community who joined in April 2015, he enjoys serving the community by being an avid PirateCraft Wiki editor as well as reader of it, and also serves as the Friendly Neighbourhood Moderator (PC Plod) of the PirateCraft Forums/Website. Currently he is in The Asylum under the rank of Callipygian in honour of his shapely buttocks, as of currently, he is inactive due to the dreaded Java Platform TM has stopped working. He was the Master of Engineering in The Xanthian Order, and still is head of the Iborian people. He built Dylan the Scorpion as his Build Of The Month entry. He is also the founder of the late Imperial Empire, and the Iborian Empire, as well as the chairman of the Olympic committee. Palmerageddon was born to a poor family, located in the Mesa Biome. His family owned only a small house, a couple of animals and a few mining bits of mining equipment. His parents had previously lived in a busy town, but they were drawn to the newly discovered lands in hope of finding riches. As luck would have it, they struck gold, and made a fortune. Palmerageddon, was able to attend a private school and made swift progresses in physics and other sciences. One day, his school announced a competition. The students were tasked with creating a new form of transport. Other students stuck with using wheels, or developed complex machines, such as InventorJohn. Palmerageddon however, worked on a flying machine - something that had not yet been done. Using gunpowder, wood, and iron, he created an enlarged fireworks rocket with a seat inside. The day came where all students were to test their contraptions. Palmerageddon decided to name his rocket 'Palmerageddon', after himself. His rocket was launched, and travelled high into the air to the amazement of the onlookers, and a rich businessman. He won the competition, winning a large sum of money to help develop his rocket further. The businessman granted Palmer a place at a top university where he studied engineering. He used his knowledge to return home, and develop the mining equipment his parents used, as well as his riches to set up a new city; Lost Faythe. People flocked to the Mesa hills in search of new riches and technology, and lived in Faythe. Palmerageddon, by now granted noble status, took the next step and bought all rights to the land, and declared it independent. Soon after, he created the Imperial Empire, hiring an army to protect his empire. However, due to attacks from barbarians and pirates, Lost Faythe, the pride of the Imperial Empire was destroyed and looted. Using his last reserves of gold, Palmer created a new city; New Faythe, soon to be capital of the new Iborian Empire. With added defences, New Faythe withstood all attacks and the Iborian Empire flourished, attracting even more citizens. After a brief confrontation with the 13 Colonies, the Iborian Empire became a lasting member of the League of Nations. Relations improved, and soon Palmerageddon was developing prototypes such as tanks, siege ships, and various types of landing craft. In October 2016, the Iborian Empire became part of The Xanthian Order. Palmerageddon became the Master of Engineering, and King of the Iborian People. February 2018, Palmerageddon joined the crew The Asylum, with the rank callipygian, meaning nice bottom. This is a very rare event. When Palmerageddon feels threatened and is in a hole he tends to make Terrapin noises. When this happens it looks like this is chat "(Palmerageddon >> *Terrapin Noises*)". Palmerageddon is currently the chairman of the Olympic committee in Piratecraft. Although no games have yet been held, he looks forward to future Olympic events and related projects. The Asylum (Callipygian) -Meaning nicely shaped buttocks, which is true. This page was last edited on 12 November 2018, at 15:17.